Goodell was responding to a letter from 10 members of Congress who want the name changed because it is offensive to many Native Americans. He cited the nickname's origins and polls that support its popularity. 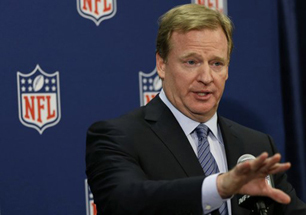 Goodell wrote that he understands the feelings surrounding it are complex and could change, but he also point out fan pride in the team’s heritage. The name is the subject of a legal challenge from a group seeking to have the team lose its trademark protection. Team owner Dan Snyder has vowed to never change the name. Teton High School in Driggs, Idaho, this week became the latest high school to drop the name.